Dennis is a CERTIFIED FINANCIAL PLANNER™ and has the UCLA Extension Personal Financial Planning certification. 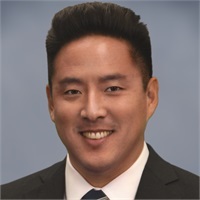 Dennis also studied electrical engineering at the University of California, Santa Barbara and has a Bachelor of Science Degree in Business from the California State University of Channel Islands. He previously worked as a financial advisor at Merrill Lynch and Wells Fargo. His industry licenses include: Series 7 held with LPL Financial, Series 66 registrations held with LPL and Perennial Investment Advisors and Insurance License (Life, Disability, Long Term Care, Annuities). CA Insurance License #0H83569. The Certified Financial Planner Board of Standards, Inc. owns the certification marks CFP® and CERTIFIED FINANCIAL PLANNER™ in the U.S., which it awards to individuals who complete the CFP Board's initial and ongoing certification requirements.